Savannah is located on the north side of U.S. Route 380 in an unincorporated area of Denton County, 12 miles (19 km) east of Denton and 15 miles (24 km) west of McKinney. 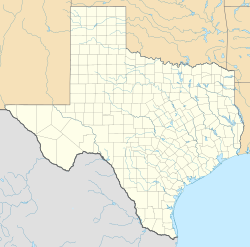 It is bordered to the south by land within the town of Little Elm. Savannah is served by the Denton Independent School District. Education is among the highest in the county, with its own Savannah Elementary School (Grades K-5) within the subdivision; Navo Middle School (Grades 6-8), and Braswell High School. Previously it was split between Denton High School (Grades 9-12) currently participant of the IB program, and Denton Ryan High School (Grades 9-12). A new high school opened in Fall of 2016 closer to the subdivision (Grades 9-12) The typical resident has at least a 12th grade education, and the vast majority are college graduates. ^ "Profile of General Population and Housing Characteristics: 2010 Demographic Profile Data (DP-1): Savannah CDP, Texas". U.S. Census Bureau, American Factfinder. Retrieved July 3, 2012. This page was last edited on 10 February 2018, at 00:20 (UTC).